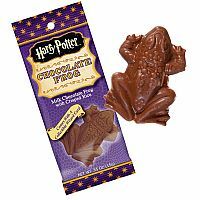 Real chocolate frog with a collectible wizard card inside the package! Please note: This item CANNOT be shipped. In-store pickup only.